He is from Iran, but, his works have instituted gratitude in the world of cinema. 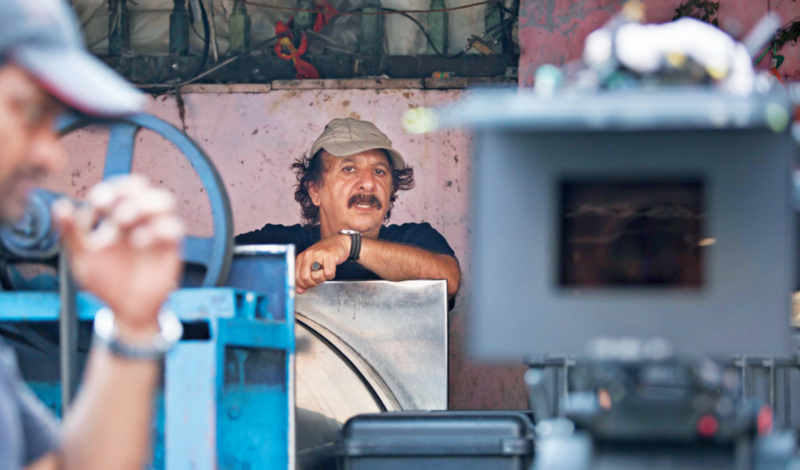 Majid Majidi is currently busy shooting Beyond the Clouds in India. While the film is still under his mindful creation, this highly celebrated filmmaker shares a piece of his mind with India & You. While you could have been an author, a poet, a painter or even a philosopher delivering lectures in any of the renowned universities of the world, what inspired you to make films? Yes, if I was not a filmmaker, you never know, I could have been any one of them as well. You know, cinema is a complete art. All those professions you mentioned, a philosopher, author, poet and everything, are all a part of being a filmmaker. So, cinema is all of them put together in one art form. Iran is not the friendliest of countries to make films on your terms. How did you manage to tell your stories your way? Were there hiccups that we don’t know of? The question is a result of a judgement that the world is subjected to; however, the judgement is not complete because it comes from a political point of view. In our country, there are different arts that you can see and they come from the culture of the country. It is not what you are saying. Or, you might be inquisitive about whether it does exist. Only a politically polarised world can evoke a question like this. Iran is a big, cultural country, where we had great poets like Fedowsi, Hafez, Molana. That richness in the culture is still visible on the art of the present day and reflects on our works. But, the political shadows on art have remained prominent at times, like we remember the eight years of Ahmadinejad’s presidency, which we call the ‘eight dark years’ of Iran when art was badly under the pressure of politics. However, one dark point cannot be held responsible for a judgement like this. What made you turn your camera to India? Was there a cultural exchange that was due? For sure, India and Iran have cultural similarities. Besides that, I knew about Indian cinema through the works of Satyajit Ray. His films were my favourite ones and I was following him when I was young. And then, from the travel experiences I had from India, I liked the way of life here. I found the country really dramatic and I always thought that one day I would come and make a film in India. It was one of my dreams to make a film in India. In the last eight-nine years, this dream grew more serious. Since then, I have been travelling frequently to India and had developed various connections, such as with Eye Candy Films. Finally, we are making this film. Beyond the Clouds is a result of two years of research and I am really happy to be able to realise my long time desire. Your films have always delved into the simple lives of the people of Iran and the real life issues of the marginalised section of the society. Have you ever thought of making a complex urban drama? My concept of filmmaking is about human feelings delving into the depth of it. I try and describe humanity and the concerns that human beings face in their lives. I try and talk about kindness in human relationships, for example, in the films Baran or Children of Heaven. It is true that the characters come from the marginalised section of the society, but, it doesn’t mean that the audience can’t relate to it even if they are from the upper class or the intellectual strata of the society. The concept of these films is above all these social boundaries, I believe. I have, in the past, made films on upper class as well. The Willow Tree revolved around the character of a professor. However, the premise of the story was conceptually the same, an exclusive, compassionate story that concerns human feelings. Indian films hardly make it big at the international film festivals; however, countries like Iran is regarded highly in foreign film festivals. What, according to you, makes Indian films fall short on global platforms? You know, there is no formula that gives you success in international film festivals. This comes from the cultural education; I mean, the identity of an artist or rather the cultural identity of an artist comes from the heritage and history of the country he belongs to. These things help an artist arrive at this point. When I think of India, they have ignored a lot of things that I would like to talk about. I think, there are some technical mistakes in the way Indians have perceived cinema, especially Bollywood. Maybe, the industry thought that with such a huge population they can make big box office business, which is good in terms of making films for your own audience. But, these things can create some problems. All the films look similar because they are following each other. They have no relationship between the real life of Indians and the films being made in India, which makes it the biggest cliché of the Indian film industry. And, there are not enough efforts made to break this cliché, maybe, they are scared to do that as it is working out. The imposing danger is that if this formula fails in the future, there is no alternative that the industry can resort to. 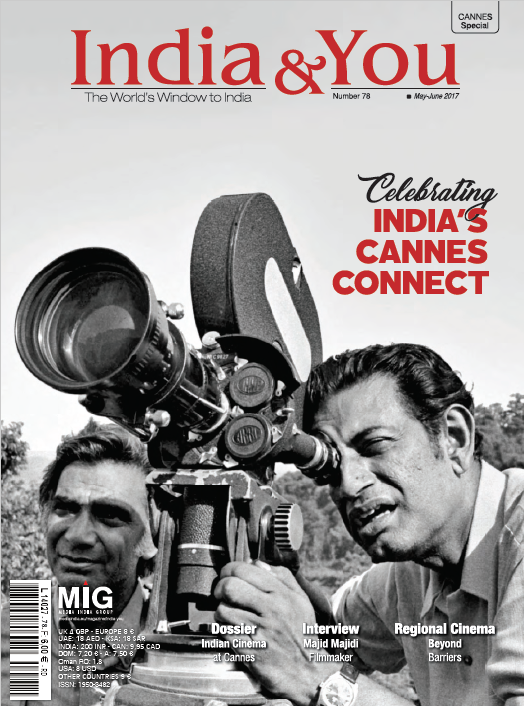 There were artistic filmmakers in India that I knew, such as Satyajit Ray, Shyam Benegal and Mira Nair. They tried to make films differently. But, the wave was not continued like it should have been. Even in terms of the profit, I am told that India is making 500, 600 or even 1,000 films a year, but only six or seven of them are really making good box office profits. The other films are just under the shadow of the success of these films. I think, if Bollywood cannot change this trend, eventually the commercial Indian films will also turn out to be failures in the long run. What is the most challenging part of making a film in India according to you? One of the most challenging things to shoot in India is to get permissions of locations. If I am shooting in a lane here and I want to go and shoot on the other lane, it is not possible as I don’t have the permission (laughs). So, the bureaucracy that exists in India is really depressing and stops the flow of creativity. I think, for a film, if a producer has a general permission letter to shoot in an area, it should be enough. That is how it works all over the world. I understand the condition applies for some particular locations, such as the airport, it might be sensitive, but, locations like domestic lanes in a city, this is absurd. Sometimes, we are shooting in a location for two days and then I want another day, it won’t happen here as they would tell me that we had the consent for only two days. It takes time and we lose the continuity of the shot. We were stopped a couple of times while shooting as they would say that the permission expired for that location. The consequence is that a production company will have to go to the studios to shoot and there you lose the soul of the film. In this film, I tried to shoot all the scenes in real locations apart from some scenes in the prison, which I had to do in the sets of a studio. I don’t want my film to look soulless. When you watch my film, you will realise that this is the real Mumbai and it was really very difficult to achieve it on screen. As an international filmmaker, what does it take to remain true to the social conscience? In a world that is growing intolerant and there’s a rampant increase in terrorism, have you resolved to some sort of commentary? I said this before on many occasions that it is important to have an identity as an artist. It helps you tell your stories to the world. Sometimes, we have some misunderstandings about art. Art is something completely different; it is never a part of politics or it never needs to go behind political agendas to say something or force something. Art is beyond all these, it has a free soul and when we have this freedom we don’t need to belong to a particular geographical location. You can be for everyone. Otherwise, your art will become like a newspaper; it will have an expiry date. Although it doesn’t mean that the artist will not be concerned about the misery of the people. But, what makes it different is that one needs to tackle these issues in a sublime way and address them from the perspective of a global artist. What is independent cinema according to you? Where do you see independent cinema ten years down the line? It depends on how we describe independent cinema. I think, if independent cinema does not get popular support or more audience, it will not survive. I mean, just festival success is not enough for the medium. The common people will never support it and it will never become independent. I believe, if you are making a film just for festivals, it is no different than those which are made just for the box office. In my opinion, a film is independent when it is neither made for festivals nor for box office, but for the art of cinema itself. So, the artist should try and keep his identity intact in whatever he is making; otherwise there is no value. Tell our readers something more about Beyond the Clouds and your future plans. We will almost lock the final film in three months and we hope to participate in one film festival before we release the film globally. We don’t know which festival as we are yet to finalise the film. We released our first poster in Berlin Film Festival and we are planning to release the second one in Cannes. I came to know about the growing excitement and I am very obliged to my audience in India, Iran and the world. About Beyond the Clouds, I want to tell you that this is the continuation of my vision about cinema, but, in another location that is called India and with other actors. Most of the actors in my film are first-time actors, besides a few of them and I have had a very good experience with them. A few of them, particularly two of them, have a really bright future ahead, not only in Indian cinema, but in world cinema. We know that cinema has a common language and is beyond all borders, and I want to prove that once again.